Maria Theresa, by Jean-Étienne Liotard, 1762. On 26 February 2018, Tobias Heinrich (Kent) and Avi Lifschitz (Oxford) convened a study day at Queen’s College (Oxford) to mark the tercentenary of the birth of Maria Theresa, empress of the Habsburg Empire from 1740 to 1780. Leading scholars came together from across Europe for a day of interdisciplinary talks and discussion about the enduring ‘myth’ of Maria Theresa. These talks provided a fascinating window into the life and rule of this formidable empress, covering a range of topics including the representation of Maria Theresa from her own time into the present day, her correspondence with her daughter Marie Antoinette, her succession to the throne as a woman, her social and political networks, and the Catholic Enlightenment. In the first session, Werner Telesko (Austrian Academy of Sciences) presented a paper entitled ‘Maria Theresa: the making of a myth. Old questions and new insights’. Telesko highlighted the way in which the proliferation of idealized portraits, etchings and symbols, standardized the idealized representations of the empress in the eighteenth century as empress, mother, and widow. Telesko demonstrated how the myth of the empress continued thereafter to be adapted to suit contemporary needs, Maria Theresa becoming the ultimate embodiment of ‘being Austrian’ in the national memory. Catriona Seth (All Souls College, Oxford) presented her work, ‘A well-tempered correspondence? The letters of Marie Antoinette and Maria Theresa’. 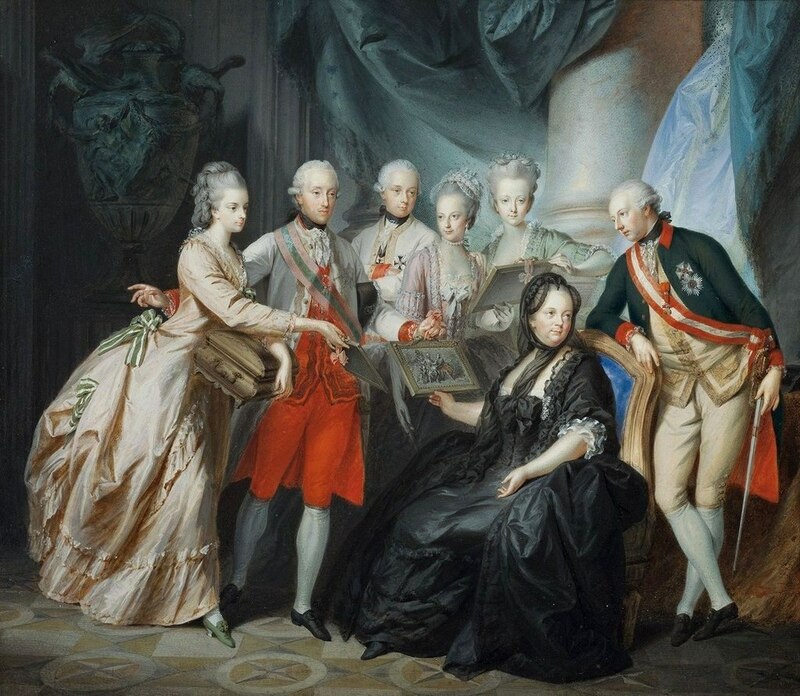 Seth revealed the way in which Maria Theresa deployed her daughters in her imperial ambitions through marriages abroad, managing these royal alliances through correspondence. She kept careful tabs on the one who made the most prestigious marriage, treating Marie Antoinette as a dependent in need of counsel even after she was crowned queen of France. 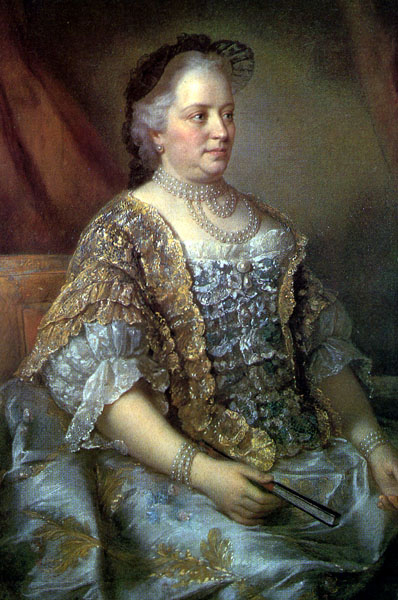 Maria Theresa dictated with whom her daughter was allowed to maintain correspondences, implored her above all to produce an heir to the throne (demanding constant updates of her daughter’s reproductive status), and urged her to heed the advice of the Austrian ambassador Mercy, Maria Theresa’s eyes and ears in France. 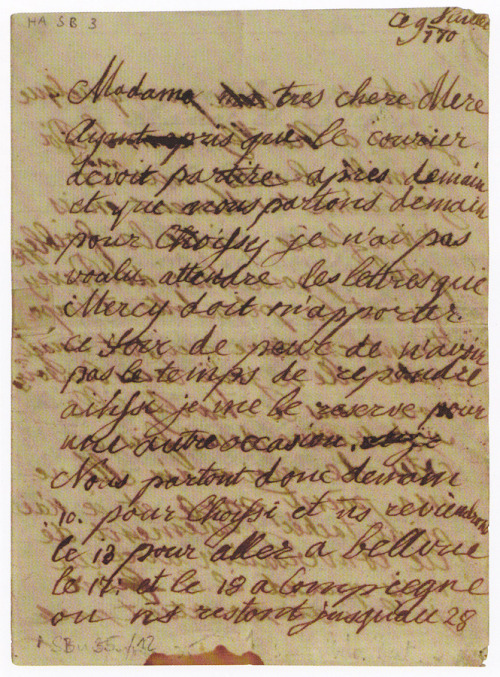 Letter by Marie-Antoinette to her mother Maria Theresa, 9 July 1770. In the second session, William O’Reilly (Trinity Hall, Cambridge) gave his paper, ‘“All the king’s men”: Maria Theresa and the Holy Crown of St Stephan’, a fascinating reflection on the problem of female succession and the history of the legal gymnastics involved in answering the question: is the heir a child, or a woman? O’Reilly underscored how Maria Theresa came to be seen as a man in the person of a woman in order to rationalize her succession to the throne, forming her royal image in imitation of Queen Mary I. Thomas Wallnig (University of Vienna) concluded the second session with a provocative paper entitled ‘After 2017: is new research on Maria Theresa possible?’. Wallnig answered his own question, at least in the beginning, in the negative, paying homage to the substantial scholarship on Maria Theresa that has been completed to date. Proposing to move beyond biography, correspondence, and her family, Wallnig ultimately turned to the promise of digital humanities and network analysis for reframing the questions, opening up new avenues for historical inquiry and making room for future innovative studies of the empress. The study day concluded with a keynote lecture by leading eighteenth-century historian Barbara Stollberg-Rilinger (University of Münster), ‘Maria Theresa and the Catholic Enlightenment’. Stollberg-Rilinger began her talk highlighting Maria Theresa’s vexed relationship with the Enlightenment. Maria Theresa viewed the philosophes as having ‘ni foi, ni lois, ni honnêteté’. She was in favour of upholding the authority of tradition and disliked the philosophes’ entitlement to think on their own. Yet what emerged through Stollberg-Rilinger’s analysis of Maria Theresa’s policies regarding the Church was in fact a woman fully confident in her capacity to think for herself. Stollberg-Rilinger demonstrated how Maria Theresa cracked down on the Church when the problem of exorcists became a major issue in the public sphere, asserting her sovereign rule over the Church as she claimed the authority to settle religious matters. In claiming the power of decision-making and the power to define what was faith versus charlatanism, Maria Theresa asserted her divine right to rule as sovereign, even over the Church. Kaiserin Maria Theresia im Kreise ihrer Kinder, by Heinrich Füger, 1776. Wallnig is right to point out that a figure as prominent as Maria Theresa has been studied exhaustively, with countless studies dedicated to her alone. The eighteenth century is full of such figures – rulers, philosophes, political theorists, artists, writers, and countless others – that continue to captivate us dix-huitiémistes and inspire our work. Yet while Wallnig asked what more we can possibly do on Maria Theresa in the twenty-first century, I found myself leaving Queen’s College thinking about what Maria Theresa can teach us about why eighteenth-century studies matter today. One might ask, how could an afternoon of talks dedicated to a single person answer that question? Yet in that afternoon, we thought about how we can leverage twenty-first-century technology to find openings in well-trodden fields, and make new discoveries and contributions to eighteenth-century scholarship. We considered the role of media in the construction of glorified images of political figures, and the appropriation of historical figures to serve contemporary purposes. We thought about the problem of women and power through the lens of the letters between a mother and a daughter: not only how a woman acquires and holds onto power, but more strikingly the negotiation of identity as a woman in power, negotiating the political and the personal, the identity of empress versus mother. We grappled with how to justify the right of a woman to rule, and what to do when a title is intended for a man: Rex versus Regina. And lastly, in what proved particularly prescient, we wrestled with the question of where power lies – with the Church or with the State – and who has the power to define faith versus charlatanism, what we could transpose to our current political moment as fact versus fiction. 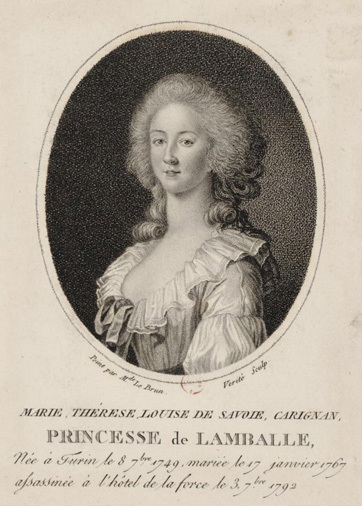 Marie-Thérèse Louise de Savoie-Carignan, the princesse de Lamballe (1749-1792), once a central figure of Marie-Antoinette’s court, is today largely forgotten, reduced to a fittingly sensational anecdote illustrating the bloodshed that ensued in Paris during the last turbulent years of the eighteenth century. The princess’s true character and activities have long been lost in the mawkish narratives peddled by the wave of nineteenth-century biographies that succeeded her death. This sentimental revival of interest in her person was closely interwoven with the propaganda that attended the royalist cult of Marie-Antoinette and has coloured all subsequent interpretations. My research focuses on the portraiture and patronage of the princesse, and through an examination of the many portraits the princess sat for and her role as patron and collector, I hope to redress these longstanding lacunae and recover something of her former influence and contribution. An accomplished noble amateur, traveller, bibliophile, freemason, salonnière, patron and collector, not to mention the highest ranking courtier in the queen’s household, Lamballe presents an ideal case study, particularly as her widowed, childless, professional and independent status presents a rare alternative to the more orthodox paradigms within her milieu. In determining the governing ideologies in the princess’s iconographical programme and by tracing the mechanics of her engagement with different groups of artists and craftsmen, I hope to identify a wider range of motives and cultural meaning than has previously been ascribed to female court portraiture and patronage of this period and to cast further light on the taste of her mistress, Marie-Antoinette. Thanks to the Voltaire Foundation Travel Grant/BSECS Travelling Award I was able to travel to Paris to visit archives, libraries and critical sites pertaining to the princess. 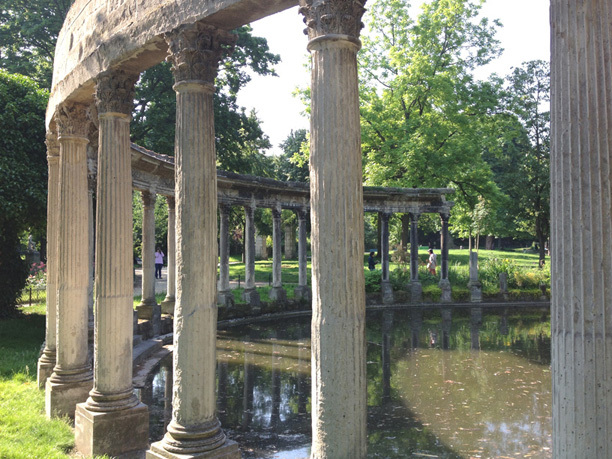 Among these were Rambouillet and the Parc Monceau. English gardens were perhaps the most expansive example of Lamballe’s patronage, and she was almost certainly influenced in this taste by the example of her brother-in-law, the duc de Chartres, with his English gardens at the château de Raincy and Monceau. 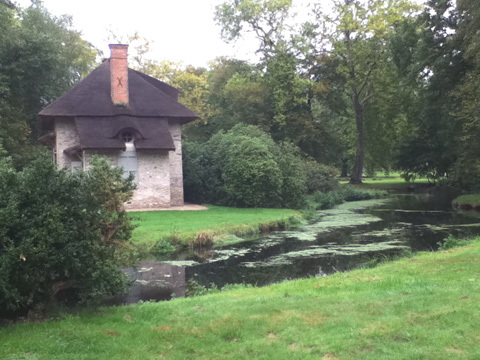 In 1779-1780 Lamballe’s father-in-law, the duc de Penthièvre, commissioned a jardin anglais for her in the grounds at Rambouillet, his birthplace and favourite residence, at an easy distance from Paris where the princess frequently joined him when released from her duties in the city or at court. This new endeavour took its cue from, and overlapped with, the planning of her mistress and friend Marie-Antoinette’s jardin anglo-chinois in the grounds of the Petit Trianon created between 1777-1781. Anyone who has visited Waddesdon Manor will have been struck by the Morning Room, in which rows of impressively large books are carefully encased in cabinets. For most visitors, these books remain nothing more than particularly expensive decorations since there is little opportunity to handle or open them. Thankfully, recent projects have been lifting the covers (as it were) on the contents, revealing satirical and rabble-rousing content that contrasts with the seemingly royalist surroundings. Waddesdon Manor was built in the late nineteenth century in a neo-Renaissance style by Gabriel-Hippolyte Destailleurs for the baron Ferdinand de Rothschild. Ferdinand was a historian fascinated by early modern France and Waddesdon Manor features many royal relics including Marie-Antoinette’s desk, and the large state portrait of Louis XVI by Callet. With rooms filled with Sèvres porcelain, and tapestries from the royal Gobelins and Beauvais workshops, Waddesdon exudes opulence rather than radical politics. This fascinating disparity was exploited by my colleague Paul Davidson and me, when we co-curated an exhibition at Waddesdon in 2011, called ‘A Subversive Art: Prints of the French Revolution’, to demonstrate the radical content of four such volumes: The Tableaux de la Révolution. Our method to entice visitors to the exhibition was to create a treasure-hunt-like trail throughout the manor, leaving incendiary prints of Louis XVI, Madame de Polignac, Marie-Antoinette, and the Duc d’Orléans next to their rather more grandiose depictions. While the exhibition is now over, you can still consult the contents of the volumes online, and through these series of videos featuring Katherine Astbury as well as Paul and me. These are by no means the only books at Waddesdon Manor whose content may surprise you. 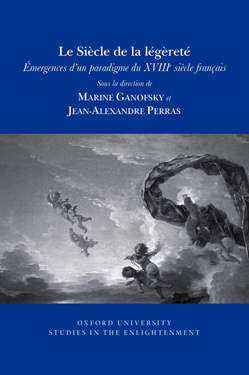 The Saint-Aubin Livre de Caricatures tant Bonnes que mauvaises is an incendiary book from the age of enlightenment. A mixture of politically astute commentary and scatological sketches, it is the subject of an important study edited by Colin Jones, Juliet Carey and Emily Richardson. However, if the binding itself intrigues you as much as the content, then Waddesdon’s Catalogue of Printed Books and Bookbindings, edited by the Voltaire Foundation’s late founder Giles Barber, will certainly be of interest. This catalogue of French 18th century books and bindings at Waddesdon will be published later this year.